Samoy is a Chinese Medicine Practitioner registered with AHPRA in both Acupuncture and Herbalism. She has a special interest in women’s health, natural fertility and IVF support, tension release, stress management and dietary education. Being raised in a traditional Chinese family, Samoy quickly learned that health is much more than the absence of disease. Samoy understands that for true internal harmony to occur, people must have a good understanding of their own health and bodies. 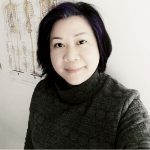 She strives to empower her clients by providing education and knowledge that they can use everyday to maintain their health and prevent illness. Traditional Chinese Medicine (TCM) is a medical system that works in harmony with Nature. Chinese Medicine theory respects nature in every aspect. This respect manifests in the treatment protocols that allow nature to take its course. Chinese Medicine regards the human body as an integrated, whole entity, it doesn’t isolate organ functions from each other, this indication its respect for the body naturally. The goal of Samoy’s consultation is to assess the entire constitution of the patient. During treatment, Samoy may use different protocols such as acupuncture, Chinese herbs, diet and lifestyle changes, depending on what she determines is best for your condition. On occasion, different styles may be combined together to achieve the best and most effective outcome. Acupuncture affects the physiological functioning of the body by stimulating special points, called acupuncture points, throughout the body. Because acupuncture is a primary health-care system itself, it can be used to treat most health problems, ranging from cold and flu to neck and back problems to insomnia, chronic fatigue, fertility and emotional conditions. TCM understands that food carries a special energy signature that is directly related to a specific organ and can help it find balance. During treatment, Samoy will suggest everyday foods specially selected to strengthen your body’s vital energy. According to TCM, Chronic stress creates imbalances in the body that can lead to physical health problems and a host of other health issues. Through treatment, participants learn the unhealthy lifestyle habits they need to eliminate to heal themselves. What main concerns do you treat? Women’s Health (Menstrual problems, Breast health), Stress, anxiety, depression and emotional problems, digestive disorders, natural fertility & IVF support, pain management. What is your philosophy or belief about natural healing, and the work you do? I believe that the root cause of disease lies within the patient, as an imbalance with the system, rather than external. I see myself as a facilitator of healing, helping patients tap into their inner, self-healing abilities. What can you do that no one else can to help them? I look at the balance of energy and exhaustion and try to seek out ways of balancing harmful influences with beneficial influences. What value added services, or products can you add onto consultations? I will share my experience & knowledge on health care and well being. I will have an open mind & seek the best treatment for each person. Also, educate clients on how to look after themselves. What would a normal treatment involve? The TCM initial consultation will include taking your medical history, diagnosis, discussing healing strategies, treatment schedule, giving diet and lifestyle guidance, and a shorter section of acupuncture needling. In some cases, Chinese Herbal prescription may add to enhance the healing effects. That depends on the duration, severity, and nature of your complaint. You might need of one single treatment for an acute condition. eg. Simple stiff neck or lower back pain, temporary stress related issue and mild digestive problems. A series of 5-10 treatments may resolve many chronic problems. To help reduce the number of treatments your practitioner might suggest dietary modifications, specific exercise regimes & relaxation techniques. Bachelor Degree of Health Science in Traditional Chinese Medicine. What are the main worries or concerns your clients have when they come to see you? What is the impact of not seeing you? Clients come in with chronic conditions that have been around for years & don’t know what to expect from the treatments. TCM has an Eastern philosophy which believes you need to continue with maintaining health not wait for illness before you see someone. This can lead to the usual cycle of western ways of fixing the problem and not needing to come back, then the condition comes back.